bed12ToBed6 is a convenience tool that converts BED features in BED12 (a.k.a. 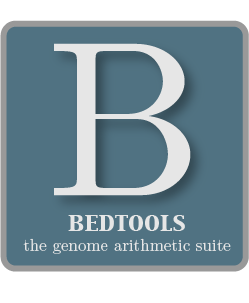 “blocked” BED features such as genes) to discrete BED6 features. For example, in the case of a gene with six exons, bed12ToBed6 would create six separate BED6 features (i.e., one for each exon). -i The BED12 file that should be split into discrete BED6 features. Use “stdin” when using piped input.